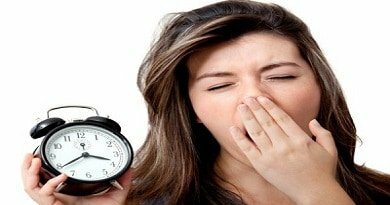 You are here:Home » Mental Health » Insomnia » What is the Cause of Narcolepsy? 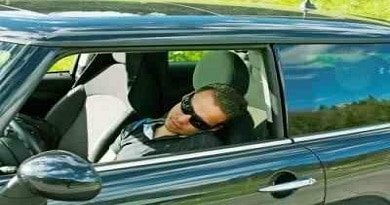 Narcolepsy is when an individual sleeps inappropriately throughout the day. Someone with such a disorder has the extreme urge to take several naps even after getting enough night time rest. He would exhibit symptoms like excessive daytime sleepiness, cataplexy (sudden muscle weakness while awake), hypnagogic hallucinations (vivid dreams upon waking up or while falling asleep) and sleep paralysis (inability to move and speak when a person wakes up or falls asleep). Treatments consist of stimulant medications, lifestyle modifications and surgery. But what is the cause of narcolepsy? The most well-known cause of this chronic sleep disorder is the lack of hypocretin in the brain and cerebrospinal fluid (CSF). Hypocretin, or orexin, is a naturally occurring chemical in the brain involved to promote wakefulness of a person. Deficiency of this biochemical is not totally understood. But researchers stated various factors that can contribute to such condition. For one, some people are said to inherit a gene that influences the amount of hypocretin an individual produces. A considerable number of narcoleptics report having relatives that present symptoms characteristic of the condition (e.g., REM sleep, increased daytime sleepiness). However, the mode of inheritance is not yet very clear. Injuries to the brain caused by trauma or conditions like strokes or brain tumors could also contribute to the low hypocretin levels. Of course, when cells get injured, they would turn dysfunctional or totally die. For instance, trauma to the hypothalamus (wherein hypocretin is said to be found) will cause this part of the brain to secrete reduced amount of the protein. An auto-immune disorder can cause the insufficiency of this chemical as well. As the body’s immune system erroneously attacks the hypocretin-producing cells and tissues, there would be less hypocretin produced too. Defects or damage to an area of the brain called the brain ` could also be the basis why a person has narcolepsy. Besides controlling the impulses, cardiovascular and respiratory functions, the brain stem is concerned with the sleep cycle. There are also neurotransmitters that are involved in the sleep and wakefulness of an individual. 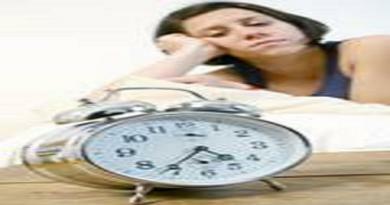 If people are deficient in norepinephrine, serotonin and/or acetylcholine, it may result to the sleep disorder as well. This is perhaps the reason why a norepinephrine reuptake inhibitor (NRI) is one of the effective medications that alleviate narcoleptic symptoms. An NRI allows more norepinephrine to be present in the brain. A link between a renowned pharmaceutical company’s swine flu vaccine and narcolepsy in Finnish children was found too. It was discovered that a number of children developed narcolepsy after being given the vaccination. The National Institute of Health and Welfare of Finland suspended the administration of the swine flu vaccine until further investigations prove otherwise. A few researches propose that some environmental toxins might have a role to play in triggering the disorder. The toxins may consist of pesticides, heavy metals, and second-hand smoke. It is vital for people to recognize the variety of cause of narcolepsy. This will certainly prove to be useful when a patient is prescribed medications or other types or treatments. It is always better to understand the rationalizations behind each drug or remedy to aid in an individual’s compliance.